The ASSA / ESSA Star Party is held from time to time in Magaliesburg. It is an informal gathering of members of the ESSA (Exploration Society of Southern Africa), ASSA Johannesburg Centre, ASSA Pretoria Centre, and the Telescope Making class. It is advertised via the communication channels of those communities. 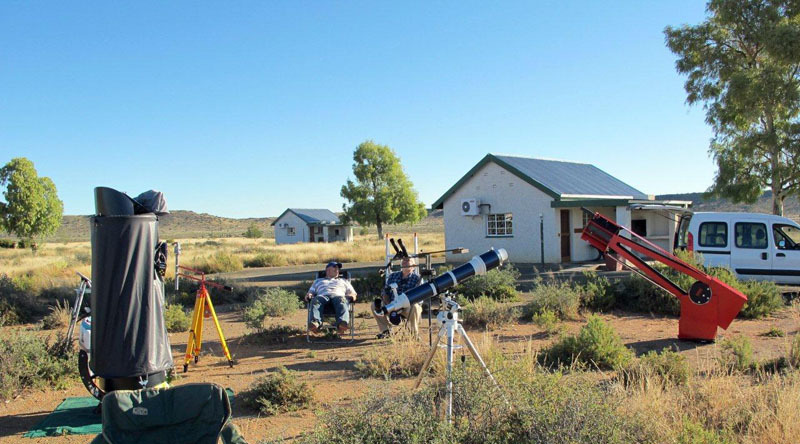 The National Karoo Star Party is organized by ASSA Pretoria Centre members Johan Smit and Danie Barnardo, and is held on the Kambro guest farm, 20 km north of Britstown. The town is centrally located, 250 km south of Kimberley on the N12, exactly halfway between Cape Town and Johannesburg. The 2017 KSP will be held from Monday April 24 to Friday April 28. 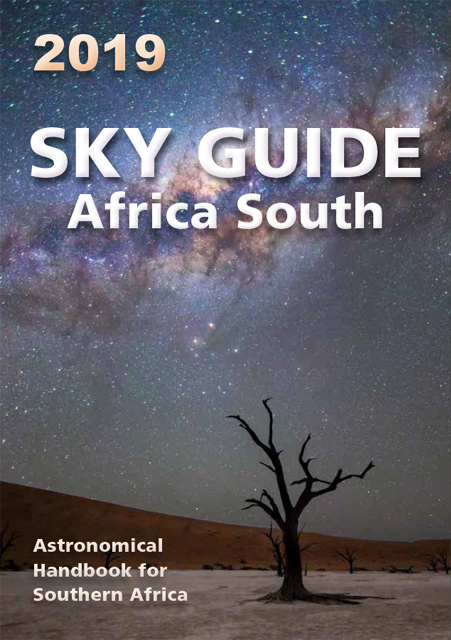 Booking is essential [ http://www.pretoria-astronomy.co.za ]. 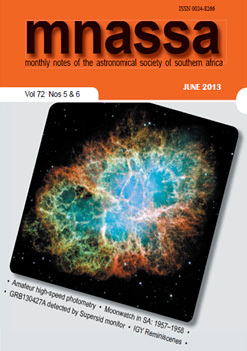 The Northern Star Party is held near Bela-Bela in Limpopo province from time to time and is organized by the ASSA Pretoria Centre [ http://www.pretoria-astronomy.co.za ]. Star Camp Mavuradonha is arranged by the Astronomical Society of Harare at the Mavuradonha Wilderness Camp Site, a dark-sky location accessible by tar road 200 km north of Harare on the edge of the Zambezi escarpment.The date for 2017 is to be finalized.